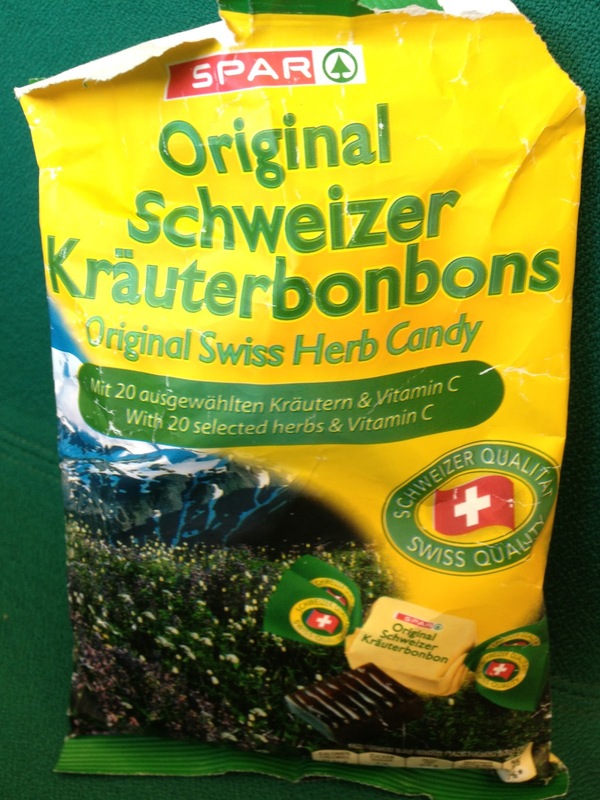 These are Swiss hard-boiled sweets, bought in Austria by a buddy on a skiing trip. I think they are firmly herbal sweets designed for consumption in cold weather. The closest similarity I've seen I think is to menthol sweets as these are quite powerful and naturally unblock the nose while warming you up. This is not an unpleasant sensation, but they really aren't sweets for idle snacking on. I chose very strategically when to eat these, as the strong smell and taste means that I wouldn't want to have near to food that I actually want to taste and enjoy. Near to tea and similar was a similar no-no. Just before a long cold walk home in the snow? Perfect. Warming, decongesting, and enjoyably flavoured too. A good 'older person' sweet. Are they a Ricola own-brand?